I-471 to Route 8 east (toward Bellevue), turn right on Washington, 2 blocks - turn right onto Poplar. Saint Anthony Lofts on your left. WOW! Truly unique condo in renovated Century Old Church! 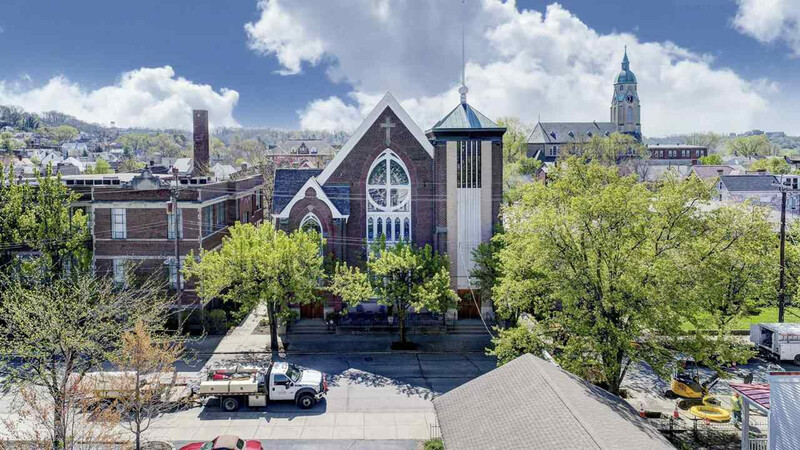 Almost 3,000 sq ft with original hardwood floors, abundance of stained glass windows and TWO garage spaces! This unit features TWO master bedroom suites, custom railings, built-in original cabinets/lockers in study, wet bar in living room, exposed brick, balcony overlook and a separate outdoor space. Walkable living at its finest.